Track4Win can monitor all computer activity and Internet usage on your network. It can automatically track visited website addresses, and log work time on each application. Track4Win customers range from Fortune 500 companies to small business start-ups, and from network administrators to parents. Track4Win is the best Computer Monitoring Software for your office and home. - Monitor all computer users on a computer network simultaneously. Track4Win can work for either single PC tracking or networked computers monitoring. - Use any computer to be a server to monitor other computers on the network. 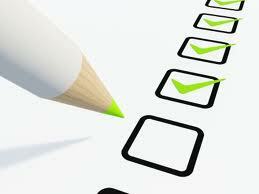 Estimate project time, calculate project cost, track work time and analyze work process. Track4Win is also a project tracking tool. Track computer use and analyze the computer usage rate in your company. It is a great computer monitoring software product. Offer free download to try the best software to monitor employee internet usage and the easy way to monitor employee computer activity. Help to protect your children from harmful website contents, chat room predators, and other Internet dangers. Track4Win is a useful internet monitoring tool for parental control! Log and calculate how much time you or your employees spend on a specific application, such as Internet Explorer, Word, Photoshop, Dream weaver, JBuilder ... Track4Win is a powerful application time tracker! Monitor employee comuter activity and usage by time and application. Track4win a cost-effective computer & Internet monitoring software product in business, school and home. 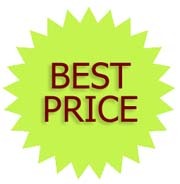 The price is one-time cost. There is no any annual fee. Track4Win is the best employee monitoring software tool to track computer usage on network. It can automatically track the running time of every application on a computer. With its powerful network support, Track4Win can easily collect the application running time and track Internet use information through the network, and log them into database, and finally analyze them with very useful reports.Track4win is an inexpensive tool to monitor web usage and computer activities in network. Data storage in MS Access database format. 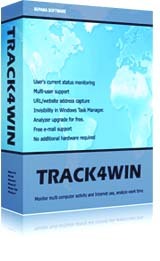 Please download and evaluate Track4Win, the best computer monitoring software. If you need a screen monitoring software program that can continuously capture screenshots from network computers, please try ScreenFetch. Notes: The previous name of Track4win is SysTracker. Please read our What's New Page to know more updates about this PC monitoring software. © Copyright 2000-2019 Track4Win Software, All Rights Reserved.